younger brother named Craig Bradshaw. NFL's Most Valuable Player of 1978, Terry Paxton Bradshaw is a famous former NFL quarterback player currently working for Fox Sports as their NFL analyst. Known for his appearance on Fox NFL Sunday, Terry Paxton Bradshaw is working for the show since 1994. Terry Paxton Bradshaw reportedly earns around $1 million, per annum as his salary from the network. As of 2019, he reportedly has an estimated net worth of over $20 million. He married 4 times and divorced thrice. He is currently in a marital relationship with his longtime girlfriend Tammy Bradshaw. Terry Paxton Bradshaw, an American sports analyst/anchor, has an estimated net worth of over $20 million which is similar to the net worth of Rich Eisen. From his successful career with Fox Sports, Terry receives an annual salary of $1 million from 2019. Fox Sports reporter also receives an additional sum of money as a sports pundit from his radio and TV guest appearances. Since he is a former NFL player, he earned a lot of money from his playing career. Moreover, he contracted with IMG Worldwide, a Global Sports, Media, and Fashion Company for their worldwide representation. 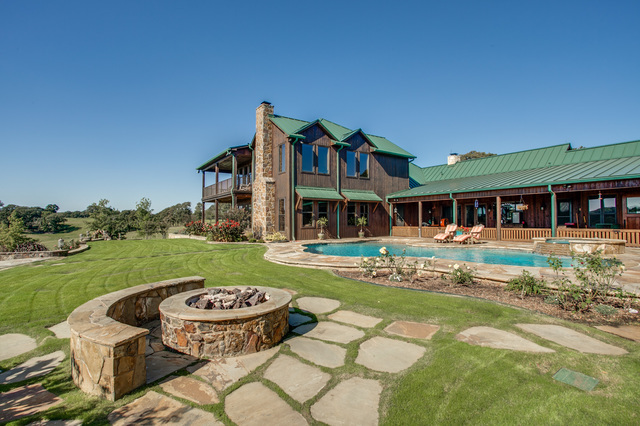 Besides he has a luxurious ranch located in Thackerville, Oklahoma worth of around $10 million which consists 6 bedrooms, 6 full and 2 half bathrooms. This property of Terry covers an area of 8,600 square foot. In addition, Terry sold his North Kohala house in $1.8 million. Terry Paxton Bradshaw works alongside Curt Menefee at Fox Sports. And as of now, Curt Menefee reportedly receives an annual salary of $200,000 and has a net worth of $3 million. Terry married four times and is also three times divorced. In 1972, he tied the knot with his first wife Melissa Babish, who is the former Miss Teenage America 1969. However, the couple could not carry their affair well and ended up divorcing later a year in 1973. Further, Terry married JoJo Starbuck in 1976. His second spouse, Starbuck is a former ice skater. In 1983, the couple divorced and the reasons for their divorce is still not disclosed. That same year, he tied the knot with Charla Hopkins who was also his family attorney in 1983. Terry has two daughters named Rachel and Erin from his wife Charla. This nuptials of Terry also didn't last long and they divorced in 1999. Currently, Terry is married to his girlfriend Tammy Bradshaw since July 8, 2014. They exchanged the wedding vows after dating for over 15 years. The couple is living a happy married life since there are no rumors of their divorce. The popular sports analyst and former NFL player is 6 feet 3 inches tall in height and weighs around 99 kg. Terry Paxton Bradshaw was born on September 2, 1948, in Shreveport, Louisiana to parents Bill Bradshaw and Novis Bradshaw. He holds an American nationality and belongs to the White ethnic group. He spent his childhood along with younger brother Craig Bradshaw. Terry completed his schooling from Woodlawn High School where he played for his high school team. After that, he attended Louisiana Tech University and played for the University team. Terry started his professional playing career with the Pittsburgh Steelers after being drafted in the 1970 NFL draft. He played football for the Steelers until his retirement in 1984 from the playing career. After that, he entered the broadcasting field in 1984 working for the CBS as their game analyst alongside Verne Lundquist. Later Terry was promoted and started hosting The NFL Today with Greg Gumbel in 1993 season.